In the first issue, Polish writer Sztybor Bartosz teams with artist Jakub Rebelka (Judas) to reimagine the classic Polish folktale “The Fisherman and the Mermaid”. The fisherman is not happy with his life. He works all the time, struggling to make ends meet rather than spending time with his wife and their daughter. 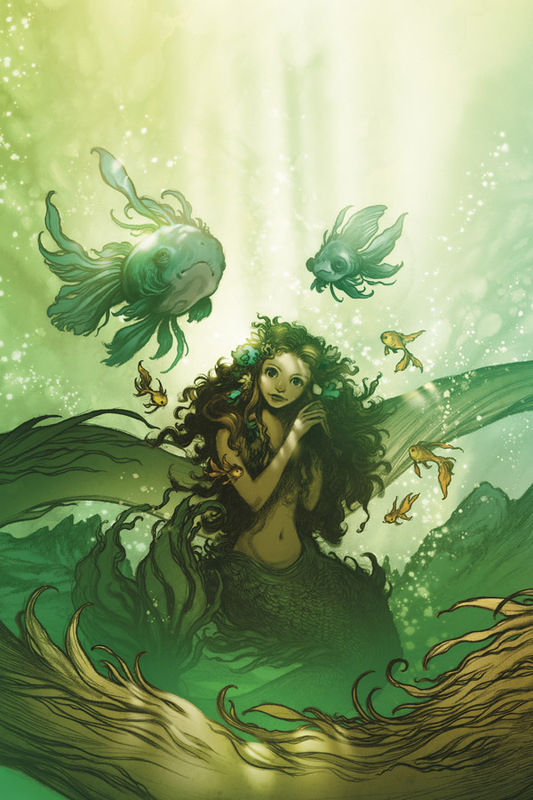 One day, while fishing, he hears a mermaid singing and the song overwhelms him with joy. He can’t stop thinking about this song so he captures the mermaid and imprisons her. Featuring beautiful stories told by some of today’s most exciting voices, including Jakub Rebelka with Bartosz Sztybor, Chan Chau (Elements: Fire), Sarah Webb (Jim Henson’s Labyrinth: Under the Spell), and Aud Koch (The Wicked + The Divine), Jim Henson’s The Storyteller: Sirens dives deep into the legends and myths of mermaids from all over the world, and what happens when humanity answers their call.